Jaffna, the luxurious haven in the North is seening the fruits of development, but more work needs to be done to bring in the past glory to the city. There has been an influx of visitors to Jaffna soon after the war ended and this trend is still continuing in moderate terms. One of the basic requirements of the visitors is accommodation and there are only few hotels to meet this need. 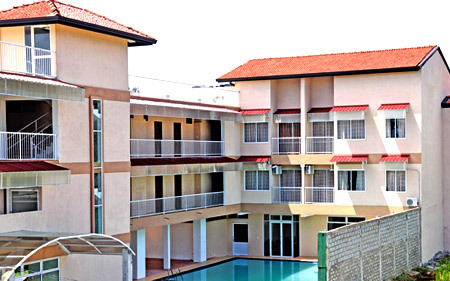 Tilko Hotel in Jaffna has been the prime hotel to provide accommodation for the visitors in a tranquil atmosphere. "The hotel is under going refurbishment at present and the work will be completed shortly. 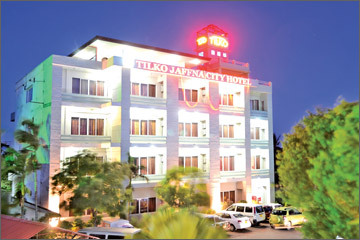 The modernized hotel will provide extra facilities for the guests, Tilko Jaffna City Hotels (Pvt) Ltd Managing Director Thilak T. Thilagaraj told Daily News Business. Tilko Hotel is built on a two acre land and has 42 rooms. The hotel which was existence since 2003, began construction in 2006. However, due to the war, work was slowed down, but was completed in December in 2010. "We have invested a sum of over Rs 500 million to build this hotel and are in the process of upgrading it with a swimming pool. The conference room, business club with local networking facilities and the banquet hall for 450 packs will also be upgraded. With the swimming pool in place, it will enable the hotel to secure three star category," he said. The hotel has arranged a travel and tour service involving a city tour deploying a 20 seater bus. Among the other features added to the hotel is a souvenir shop to sell palm leaf products. There will be BBQ nights on Sundays and family gatherings. The children's park will be a special feature of the hotel. Tilko Hotel is the main tourist hotel at present and with its continuous upgrading will result in an increase in the comforts provided to the guests. Commenting on the progress made by the Jaffna city, Thilagaraj said that development of Jaffna is essential and for this more investments are necessary. Though I have plans to build a Majestic City type mega mall in the heart of Jaffna with commercial and residential facilities, it is now on hold due to regulatory requirements. "The government response to business community has been poor while we need more regulatory support from the government to realize our efforts. We need to create wealth and more jobs for youth which will ensure more economic activities that pave the way for rapid development," he said. We have plans to build seven storied Tilko City building at a prime location in Palali Road to make it a land mark building in Jaffna. There is a need for more investors to engage in development projects in Jaffna. These initiatives for development process will make it extra fast for the benefit of this war-torn city, Thilagaraj said. Sri Lanka tourism industry is booming and it has presented a window of opportunity for the investors and related sectors to benefit from the growth prospects. "We have acquired four properties at present and are in the process of selecting few more in strategic locations. 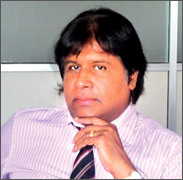 This is the right time to make investments in the tourism sector and we are confident that the sector will give positive returns," NewGen Hospitality (Pvt) Ltd Group Managing Director Wasantha Weerasekera told Daily News Business. We are still at the grass root level and will be looking at properties in Trincomalee, Kilinochchi, Arugambay, Kalpitiya and Jaffna. The present properties at Moratuwa, Kandy, Habarana and Unawatuna will be marketed among the domestic and international travellers, he said. The NewGen Hospitality (Pvt) Ltd. managed Lake Nest Bolgoda Resort in Moratuwa, Hotel Tropicana in Kandy Aniwatte, Hotel Baby Red Fish in Unawatuna, Eagle's Wings Lodge in Habarana where each has unique selling propositions to capture the market. The rationale behind having properties at different locations is to facilitate transfer guests to have a choice in hotel under the same chain of hotels. This will guarantee them the service quality and hospitality. We are in to Green Globe practice and this also an added advantage, Weerasekera said. The Lake Nest Bolgoda Resort at Moratuwa is currently a venue for many functions including leading corporates. "We are promoting the hotel among the travel agents and intend making a preferred location for water sports. The island is a bird's paradise and it is ideal for bird watching and night fishing, NewGen Hospitality (Pvt) Ltd Group Director of Sales Ranjith Balasuriya said. We have tie up with an event management company, Global Event Conventions Services to promote the hotel. We offer weekend packages and weekly team building programs. This venue is popular for day outings, he said. Under a separate plan, the hotel will be promoted as facility to conduct team building programs as an adventure station and camping site. Plans are underway to promote Lake Nest as a venue for beauty pageants. There are many plans on the pipeline and among them are to encourage leading companies to conduct their training and outings on monthly basis, promote the venue for day seminars where spacious banquet hall is available and promote back to back operations. This is an elegant property with three star equal. It has 27 A/C rooms with private balcony for lake view, outdoor pool with a baby pool, restaurant, 26' flat screen TV, WiFi facilities, water sports, two banquette halls for wedding and corporate functions for up to 500 guests. The specialty of the hotel is that it is operated under the green concept for sustainability and there is a sewage plant. Lake Nest provides homely atmosphere away from the bustling city life.